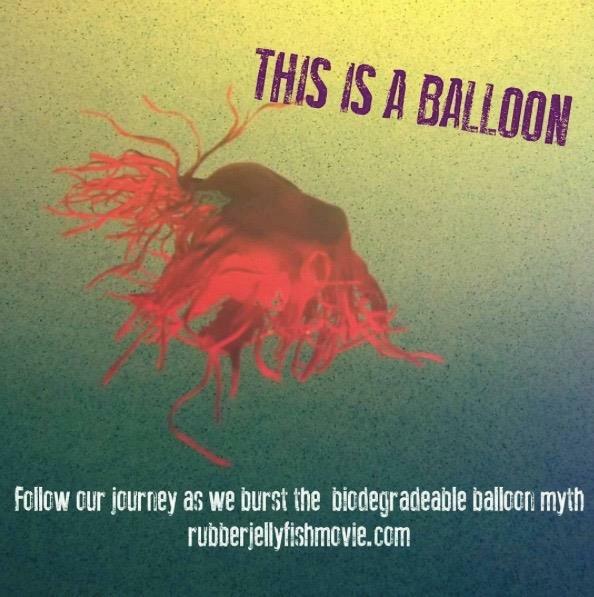 Zoe Adams-Jones, the co-founder of the Pro Environment Balloon Alliance (PEBA), states on camera in the documentary Rubber Jellyfish that there is no conclusive independent proof that latex balloons are biodegradable. This is despite a study from the late 80s conducted by a 20-year employee of the rubber industry and pushed internationally by the Balloon Artists and Suppliers Association (BASA) claiming balloons “biodegrade at the rate of an oak leaf’. We, Jonathan and Tina Hart of Eco Party Box, advocate for helping your customers embrace a reusable decorations party lifestyle. If done right job retail losses can be minimised (manufacturing occurs outside of Australia), further threat to the environment and wildlife can be reduced and an ever growing movement of people who care for the environment will be yours. 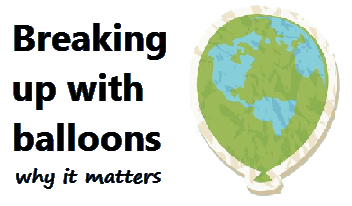 Given there has been decades to implement a campaign against balloon releases – which is clearly a form of littering - we suspect that with the rise of awareness from organisations like Balloons Blow and the documentary Rubber Jellyfish, PEBA was manufactured to protect backlash against balloons. It is our opinion that PEBA has been primarily set up to avoid potential job losses within the balloon and party industries. It is, in our opinion, a move less motivated by the protection and conservation of the environment and wildlife and more motivated by money. PEBA was created in 2017 by BASA to present an environmental concern toward balloons, with the intention of banning balloon releases – a move we applaud. But it does not push further for a ban on balloons altogether. A move we feel is important – in the same way plastic straws are no longer perceived as necessary in modern culture as they too are frivolous and are damaging to the environment. While it is now apparent that balloons actually expand in salt water and have failed to be proven to be biodegradable we also cite the choking hazard to small children as well as a percentage of the population who fail to dispose of balloons properly as major reasons to adopt a reusable decoration party lifestyle. Breaking up with balloons is not as hard as you may think. In truth, if a party is reliant on balloons to make it a fun party, well then it really mustn't be a good party after all then. Since 2014, since we stopped selling latex balloons, thousands of people have purchased eco friendly alternatives to party sustainably. Through our store you can purchase bunting or honeycomb balls, which are environmentally friendly and reusable. But there are other nature-inspired and clever ideas to ensure balloons aren't missed in your celebration. Those ideas include: blow bubbles, light a candle, write in chalk, ribbon sticks, plant a tree, make a stepping stone, tissue paper pom poms, paint rocks, giant bubbles and plenty more. Today balloons are receiving worldwide condemnation. The Balloon Industry's message that balloons biodegrade and are not harmless to the environment is no longer believed by the masses. The industry-funded research which claimed balloons are biodegradable leaves the science as questionable. And independent scientists are now coming forward proving that latex balloons do in fact expand in sea water. 2017 saw a year of change in Australia: instead of balloon releases bubbles were blown at sporting events; Zoos of Victoria pushed for balloon alternatives at celebrations; Local and State Government's introduced laws and by-laws to ban balloons at events; scientists backed environmentalists fears about the harmful effects of balloons to animals; and a documentary was made profiling how “harmless” balloons were killing sea turtles as they would fall back down to earth in a new form – looking like jellyfish. In 2016 the CSIRO named balloon litter as one of the three most harmful items to marine wildlife. It is clear latex balloons pose a hazard to wildlife. On land and in water. So banning balloons altogether is our stance and we hope you can join us. Break ups can be hard at first, but choosing an eco alternative instead means you are saving the planet one party at a time.